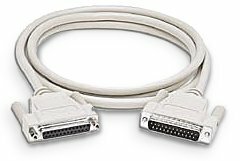 CBL-DB25-x - Shielded DB25 Extension Cable: Used to connect ICN-120/125 D-sub interconnection boards to the ICN-130 or similar. 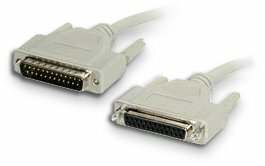 25-pin D-sub (DB25) Male to 25 pin D-sub (DB25) Female extension cable. Lengths: CBL-DB25-3 (3ft/~1M), CBL-DB25-6 (6ft/~2m), other lengths available (contact PMC).